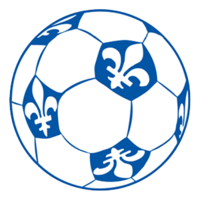 The ERSL is excited to be adding teams from AS Gatineau and SC Chelsea of the ARSO district of the FSQ to our Regional levels of youth play in the coming 2018 ERSL Summer season. These additional teams allow the ERSL to provide youth the very best soccer competition and opportunities within our region and with our neighbors. The ERSL wishes to thank the EODSA, SOSA and ARSO for their direction in this expansion and granting us the opportunity to implement this level of inter-provincial play. We also thank the FSQ and OS for their approvals and support in making this happen. Over the coming months the ERSL will be working hard to coordinate schedules, venues, match officials and other soccer operations with and between our new partners. If you have any questions regarding the addition of these new teams please contact the EODSA, SOSA, or ERSL. We ask that you please acknowledge receipt of this email. We look forward to an exciting ERSL 2018 summer season.